Harrison Ford injured plane crash on golf course. Harrison Ford on the red carpet at the Academy Awards on March 2, 2014. 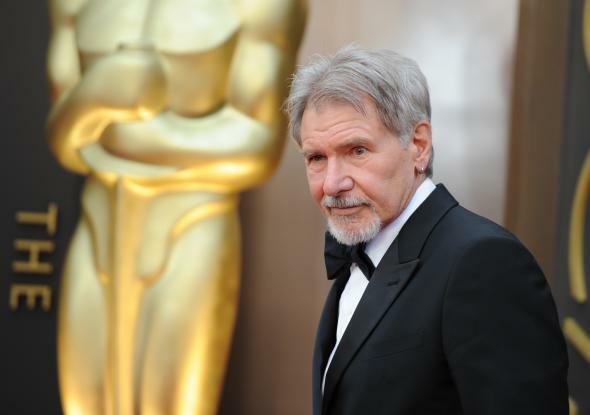 Actor Harrison Ford was injured when a plane he was piloting crashed into a golf course near Los Angeles on Thursday. “The actor, who was conscious and breathing when rescue crews reached him, was stabilized and taken to a hospital, where he was in fair to moderate condition,” authorities told NBC News. Ford was reportedly flying solo in a vintage World War II training plane when it crashed shortly after taking off from the Santa Monica Airport. The story was first reported by TMZ.